1 Combine 2 tablespoons dressing with Hellmann's® or Best Foods® Real Mayonnaise in small bowl ; set aside. 2 Combine ham, cheese, tomato and 2 tablespoons dressing in medium bowl. 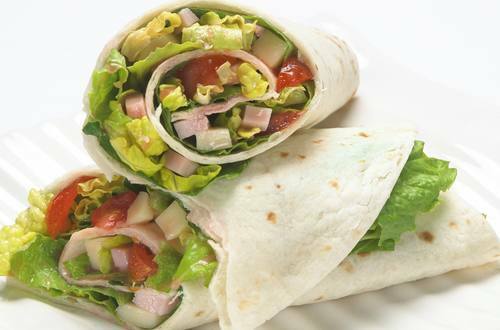 3 Evenly spread Mayonnaise mixture on tortillas, layer on lettuce and ham mixture. Roll up. Wrap tightly in aluminum foil or plastic wrap and refrigerate until ready to serve.